A fleet of high-profile leaders, academics, business owners, civic-minded frontrunners and other cream-of-the-crop thinkers will turn the Sandton Convention Centre into a hive of excellence on 5 September. Leaderex, brainchild of Leader.co.za, a leadership-focused knowledge platform, is a bold step which draws South Africa’s considerable talent pool of executives, professionals and entrepreneurs into one venue, for one day, to share knowledge and insights, offer advice to the next generation, network and collaborate. The event aims to shine the spotlight on leadership, innovation and potential, both in South Africa and across the rest of the continent. Attendees can enjoy access to 45-minute masterclass events; opportunities to engage with top employers and recruiters; access to entrepreneurship incubators, accelerators and start-up platforms; and the chance to engage directly with academic directors, programme managers and faculty from leading local business schools. Plus, they can sign up to take part in a one-on-one coaching session. Attendees will be treated to a range of world-class events featuring top South African thinkers. Each of these leaders brings to the party an appreciation for the fact that South Africa cannot begin to turn around the country’s economic or social problems without a concerted and focused effort on the part of the nation’s pool of leaders. Collaboration, therefore, is the key driver of the day’s events. 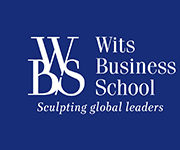 As a fan of collaboration across start-ups and large corporations, Dr Adrian Saville, professor at the Gordon Institute of Business Science, believes the Leaderex approach is just what South Africa needs right now to encourage quality leadership and "build the attributes which great companies demonstrate". Drawing from the business-school environment, Saville believes the academic setting, and the networking and the social fabric which form part and parcel of these institutions are central to learning and development. In a sense, Leaderex is creating just such a dynamic environment, but on a grander scale, and in a more open and inclusive manner. "While I like to think that the things I teach at GIBS have perennial value, [it’s] the networks [that] are invaluable," says Saville. And Leaderex offers the chance to get into the room with key movers and shakers in the South African environment, and talk and engage, share and debate. In this sense, Saville echoes the words of former cabinet minister and social activist Jay Naidoo, who once commented that the ANC government was not capable of fixing and addressing all of South Africa’s problems. "No government can," admits Saville. This, he says, is why South Africa needs the likes of Partners for Possibility, a non-profit initiative that brings business leaders and school principals together to help principals build capacity and create schools of excellence. Founded by Louise van Rhyn in 2010, Partners for Possibility epitomises Saville’s views on social engagement. "It’s encouraging to see people in this country moving into the level of doing," says Saville. "The private sector and the public sector challenging each other is a recipe for frustration. The chances of repairing relationships by criticism are nil; you have to focus on the positive and go from there." Van Rhyn agrees. "I was [recently] confronted with the story that we in South Africa have no vision. And it’s a complete lie, because Vision 2030 (the National Development Plan’s goals and ambition for South Africa) is there and it’s the best-kept secret. When I share it internationally with people who care about flourishing worlds, they say this is a wonderful description of a flourishing society. What if we really held this up as South Africa in the future? It’s quite a wonderful proposition and I think that is ultimately the goal of Leaderex, to get all leaders pulling in the right direction." Indeed, says Van Rhyn, if Vision 2030 is our agreed vision, and we agree that enablers such as cross-sectional interaction are necessary for success, then Leaderex is ticking all the right boxes. "Mobilising leadership and working together across boundaries - we need to acknowledge that there is a golden thread," says Van Rhyn, who believes South Africans are increasingly coming on board with this level of collaborative and game-changing thinking. "What is wonderful is how this community of people who believe in this approach is growing, the Adrian Savilles, and the likes of Leader.co.za and Lead SA. All of us are starting to pull around together on this theme about changing conversations in South Africa," she says. "It’s about active citizenship." Creating the right sort of leaders who can take this conversation forward, and for whom best practice and social licence is a way of doing business and not a buzzword, falls to those institutions that mould the leaders of tomorrow. It’s one reason why business education and universities are among the key themes at Leaderex, alongside entrepreneurship, innovation, and skills and career development. For Dr Marietjie Theron-Wepener, senior lecturer at the University of Stellenbosch Business School (USB), events such as Leaderex are vital if South Africa is to achieve success with the National Development Plan (NDP) and realising Vision 2030. "At the USB we are acutely aware that the NDP can only succeed with leadership provided on all levels - government, business and society in general. Through our focus on aspects like business in society and ethical leadership development, as well as our connectedness to finding South African (and African) solutions for the challenges faced by the country, we hope to make our own contribution to achieving the NDP’s goals," she says. This is why Theron-Wepener echoes that Leaderex is not just an event for CEOs, chief information officers, marketing gurus and HR specialists. It’s an event which covers the gamut of talent in South Africa and offers the chance for face-to-face interaction with some of the country’s leading thinkers and doers. "We’d like to see everyone who is serious about seeing the country (and business) succeed attend our event," says Theron-Wepener. "This includes a commitment to making a contribution from wherever you function daily. Important for us is the forward-looking focus on developing leaders for the future, and not just for today’s needs and challenges. This will be our theme for Leaderex." For the organisers, Leaderex is certainly a must for directors and executives, but also for entrepreneurs and innovators, NGOs and government, and, critically, graduates and high-potential youngsters. It is as much about the future of leadership on the African continent as it is about the current crop of leaders navigating the way. The call is simple: if you are up for change, and you are up for action, then mark your card for 5 September and come to connect at Leaderex.